Bryan (I can call you "Bryan", right?). You know what "offends my personal sensibilities?" When the same thing is listed as both a "Pro" and a "Con." The OSR Focus thing? 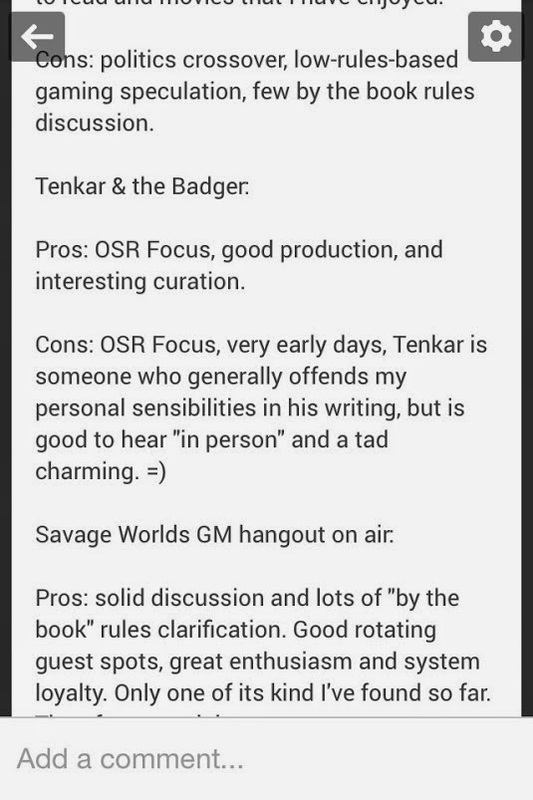 Strangely enough, that is the whole point of the Tenkar & The Badger podcast. Did you even notice the WOSR 74.0 channel listing on the header? Lets see. 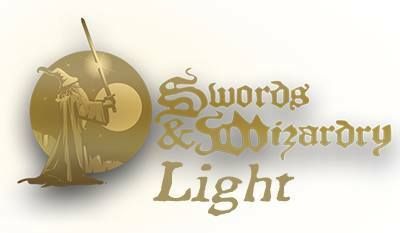 OSR blogger is interested in participating in a podcast with a crazy Scotsman that is also a fan of the OSR. I know! Let's do a podcast about Pathfinder! One episode in (with an unreleased Episode Zero and an Episode 1.5 that was a live hangout and is available on Youtube). It's hard to get in earlier on a podcast. Yep, the 2014 ENnies have been announced. The Razor Coast from Frog God Games won a Silver for Best Adventure. 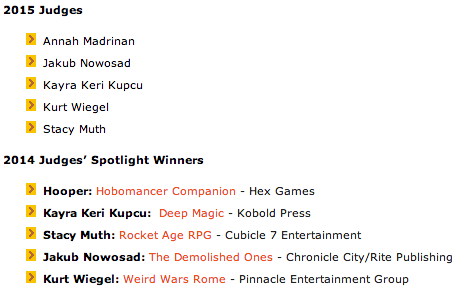 For nearly every other category, your winner is either FATE, Numenera or the occasional Pathfinder release. Well, a few others did slip through, and Gnomestew did win for best blog (huge congrats to +Martin Ralya and the rest of the gnomes) and Roll20 for Best Software. So, with the exception of Annah, expect more of the same next year. I'd like to give a big FU to +Vincent Florio . He mentioned MEPA to me, and I mentioned it to my wife, and it looks like we are going in November. MEPACon is the Mid Eastern Pennsylvania Con, held in the Scranton area. Apparently the hotel has a pool AND is pet friendly. Sigh. I never had a chance. Mark November 14-16 on your calendar. I may need to run something. It's been a few months since the last one, so I wanted to remind folks that The Tavern is available for those that would be interested in making a guest post or two. All you need to do is contact me (using the blogger contact form in the far right column of this page) with the general idea of what you want to post and we will work out the details. I do reserve the right to refuse submitted posts based on my own nebulous criteria - which is basically "no character attacks, no straight up pimping of your own stuff, etc" but I also reserve the right to break my own rules. I am currently, and at least for the immediate future, being slammed hard at work (the damn day job that pays the bills). The Tavern hasn't missed a day of posting in years and I don't plan to miss one now, but I do expect less posts being posted overall (still more than many others, but a serious slowdown for me). Thanks to JRT for pointing this out - I think. First time The Tavern has appeared in a court document that I know of. It looks like WotC is making separate PDF downloads for the Player and DM parts of the Basic D&D 5e rules. Whether or not you plan on buying, playing or running 5e, you do owe it to yourself to look at the newest edition of the D&D rules. At the very least, you might find something to houserule into one of the older rule sets you happen to prefer. As an aside, the Player's rules have been updated to v2. DM's rules are v1, and include general DM guidelines, monsters and magic items. The core here is the monsters. You can grab both the newer Player rules and the new DM rules at the WotC site linked here. It wasn't long ago that the folks behind The Great Kingdom (a D&D documentary) ran a Kickstarter to raise funds for the endeavor. 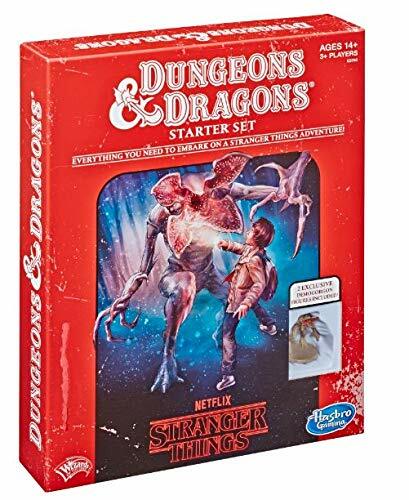 Which was interesting, as two of the folks behind this documentary were formerly behind the OTHER D&D documentary: Dungeons & Dragons, a Documentary. 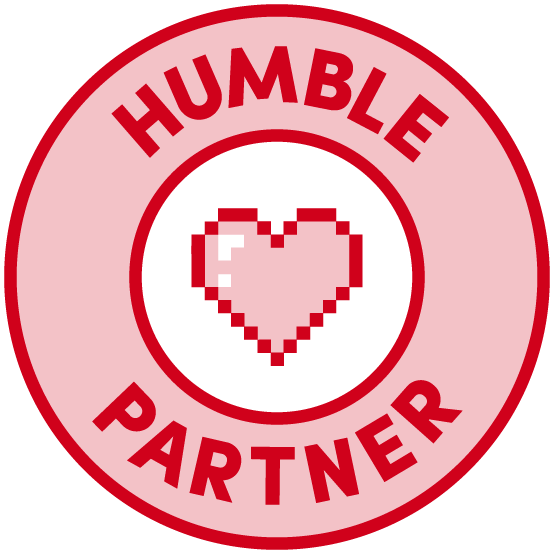 Shortly after the new project was announced, the folks behind the first project sued. All this was going on while money was being raised for the new project, which successfully funded. As of now, The Great Kingdom is literally offline, with a take down order issued by the NYS Supreme Court. 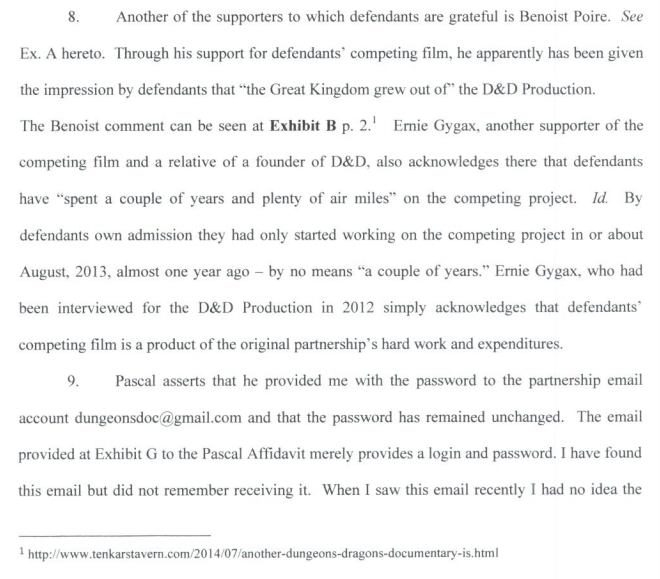 I didn't support either Kickstarter, but the lawsuit made me extra nervous about the second one. Seems I was right to be nervous. No idea what this means for those that supported the project that is currently suspended. How Important is Character Class Balance? How important is character class balance between the various classes? Sure, were talking OSR gaming with this question, and for many the answer will be "who cares about balance? ", but for the rest of you, how important is it? In LotFP, classes are balance by giving each class it's own niche, with little to no overlapping. In Adventures in the East Mark, warriors get a d10 for HD while their two sub-classes get d8s - balancing extra abilities with HP potential. So, how important are balanced character classes to you in the games that you play? This is most certainly NOT a review. I haven't read far enough along to get to the review part of this. Instead, this is my initial impressions of No Salvation for Witches, of which I was graciously given a PDF copy of (thanks to +Rafael Chandler and +James Raggi ). First, a little background. I enjoy +Rafael Chandler 's writing and generally appreciate the look and feel of the LotFP releases, if not the actual game-ability (yeah, I have some usability issues with some most of James's recent releases - party fucks are not my style.) So, if nothing else, you know my final assessment will be a fair one, even if I am predisposed to have high expectations of Raf's work. NSFW (which could be applied to nearly all recent LotFP releases) is set in England in 1620. It seems historical locations and times are high on the LotFP list, which is fine. It's easy enough to change the setting to something more fanciful, but the real world touches do add a certain sense of historical realism. Art - James never skimps on art. Ever. Much of it is disturbing. Doesn't make it less good. Layout - not the final version, but pleasing to my middle ages eyes. Backstory - classic Rafael. If the rest of the adventure is as good as the set up, I really don't care if I get to run it, as I'll be enjoying the story on it's own merits. Characters - the movers and the shakers of NSFW. Real, legit motivations and characterizations. Again, I expected nothing less from Raf. First encounter - even if I don't use the adventure as written, I'm using this. Definitely using this. Color me impressed thus far. Give me a few days to digest this and I'll offer up my review. Yep. 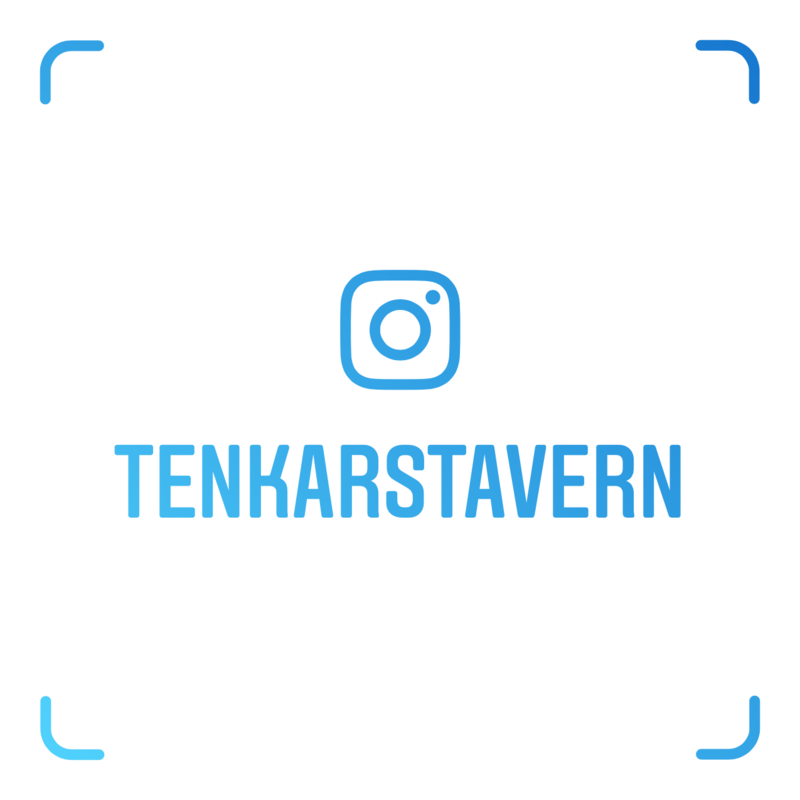 You can now subscribe to the Tenkar & The Badger podcast over at our Tavern Radio site. You should do it to. All the cool kids are. Although +Jason Paul McCartan and I just recently kicked off our Tenkar & The Badger Podcast, I've been a podcast consumer for the last three years or so, and I have some thoughts on the number of hosts that are idea for a podcast. First, there is no hard number. Two works well for the Ken and Robin Talk About Stuff. I feel that Happy Jacks often suffers under the weight of "too many voices, too little substance" curse that follows when listeners can't figure out who is talking (or no longer care). Well that and just far too much belching. When Jason and I finalized plans for the podcast, we decided we wanted a rotating third chair. While we feel we have the chops to have an entertaining show with just the two of us, the third voice adds a dimension we would be lacking otherwise. At the same time, we also like the idea of frequent guests, and our fear was that a regular three plus a guest per episode would leave someone with limited airtime. Recently, the Save or Die Podcast went from four hosts to three. While I'm not sure if that's a temporary change or a permanent adjustment, the show does seem to flow better. I suspect that it's because the three remaining hosts have more time to make their own points and observations and not because of any particular change in the line up. Spellburn recently went from three to four hosts, and while it works, it tends to suffer a bit when they add a guest. Not because the guests they have aren't awesome, but now you have a conversation with five folks, and that can get unnecessarily busy and again, runs the risk of leaving someone on the sidelines. If I do have one complaint, it's the excessive reading of letters on the air. This goes for just about every podcast out there. I find letter reading to be a common crutch on podcasts in the RPG Community. There is no need to read every one, let alone every sentence of each of them. Edit them to the kernel that will drive the discussion - the rest is just annoying filler usually. I've heard it said that puppies are like newborn babies. It's not quite true, so far as I can tell. There is no diaper changing and less puking. Sleeping is, however, an issue. Danke (I didn't pick the name - husbands rarely have such authority) is a damn good puppy that is only happy at night sleeping between mommy and daddy. Which usually means a head tucked into my armpit as I try not to roll over on said puppy throughout the night. As a generally light sleeper, this means I am acutely aware of all of said puppies movements and adjustments (as well as my own) throughout the night. I sleep, but not deeply. The other option is not to sleep at all, as the pup will whine and bark half the night if placed in her crate. Rach was diagnosed with bronchitis yesterday at the doc in a box yesterday, which explains the cough she couldn't get rid of. Did I mention that wakes me at night too? Oh, and the chair still squeaks, though not as bad as before. Why bring this up? All this and more make an appearance in yesterday's recorded live G+ Hangout - as well as Ashley's tail. There is a sense of intimacy with these live recorded hangouts. Also a sense of rawness, with trains making their presence known, coughs that leak in from the next room and a roaming puppy that needs comforting. +Jason Paul McCartan and I will need to do more ".5" episodes - even if it's more spur of the moment to address something that just popped off in the hobby or to address a spark of our own brilliance, or more likely, stupidity. Still doesn't address my like of sleep though. Heh. After Greygor, the woodcutter with the amazing stats survived the initial funnel, the hard decision was which class to go with. I was leaning heavily on either a paladin or a bard from Crawl!, but in the end went with the simple warrior. There is something about +4 to HP every level with a d12 for hit dice that is hard to beat. At 0-level, Greygor had 7 HP. 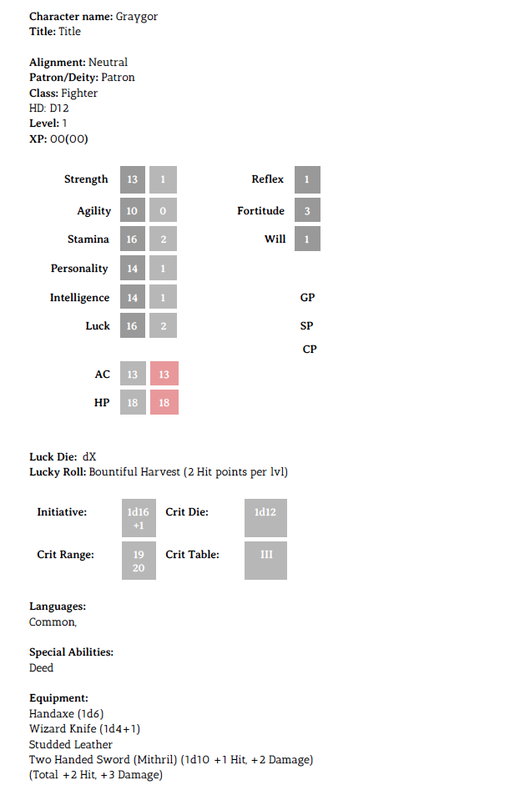 Rolling a 7+4 for 1st level, he now has 18. I really can't complain. He'll mostly be wielding a well crafted but non magical two handed sword he was rewarded with at the end of the funnel, so he will strike slow but hard. Oh, and take one hell of a beating.